The all new “Touchtips” Weather Resistant, technology that allows the use of any touch screen device without removing your glove. Thanks to the special conductive material discreetly woven into the forefinger, middle finger and thumb tips of these stylish gloves, you can keep your fingers toasty and activate your touchscreen devices at the same time! Attempting to use a touchscreen device when you're wearing gloves is a little like trying to cross-stitch while wearing oven gloves, i.e. almost impossible. In the past you had to choose between frozen fingers and a workable device or cosy mitts and an unworkable gizmo… but not anymore! Thanks to the development of the iTouch gloves, you can keep warm while scrolling through your emails, sending a text, beating your high score on Bejewelled and generally maxing out on touchscreen goodness in the open air! iTouch gloves are super soft and work with most touchscreen devices, including the iPhone and the iPad. And you can rest assured they won't damage your prize gadgets; the special material woven into the fingertips is designed to be conductive without scratching or damaging your touchscreen in any way. iGlove intelligent conductive glove design creates a complete innovation in gloves. Not only do our gloves conduct the small electric current from your fingertips to your touch screen, but the gloves are also stylish and warm for every day use. Complete functionality allows you to type, swipe pinch, and select anything you want on your touch screen device. Conductive gloves you'll love. When the weather turns cold, you need a good pair of gloves that will keep you warm. When it's cold outside, who wants to bother with pulling your gloves off every time you get a phone call. 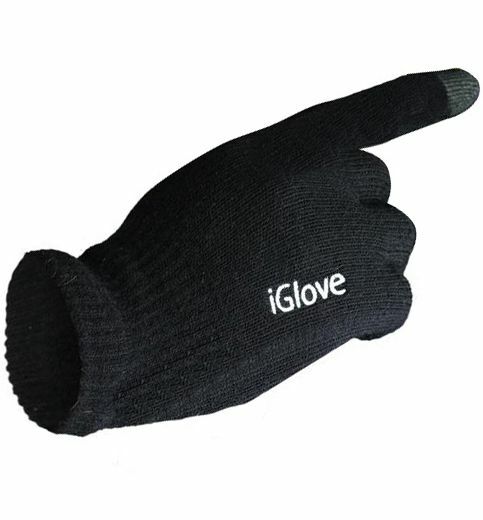 iGlove are ideal winter time texting gloves, giving you the freedom to text and leave your gloves on. You will love the fact that you can still get the job done with iGlove. iGlove also known as iPhone gloves, texting gloves, droid gloves, touch screen gloves, conductive gloves, or capacitive gloves.